HR KPIs is a must-have measure tool. As long as employees are the most valuable resource of the company, management should invest extra efforts in providing efficient human resource management. 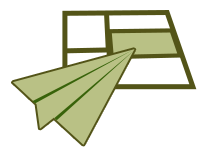 For this product we did some research and found many excellent KPIs. We started with a list of the 40 best KPIs for HR. Then we sorted out KPIs that were too specific and repeated each other, so the list was getting smaller. The next step was to find out what KPIs are actually useful, e.g. what KPIs have something to do with real results. It appeared that more than half were just playing with data with no sign of driving any change to a business. Evaluation of HR metrics will optimize performance of HR department as well as improve organization climate in a company. Cost per hire and time to hire seem to be the major KPIs for HR. Evaluation of the HR Balanced Scorecard will help HR managers align their strategies with company mission and values. Download trial version of HR Metrics. 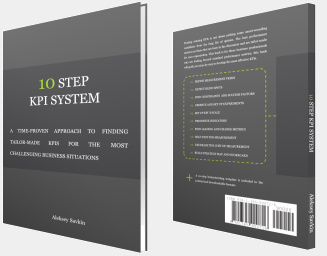 Purchase full version of HR Metrics + bonus. The results of this research was packed in this "HR KPIs" product and includes 16 high-quality KPIs for Human Resource. A list of high-quality 16 KPIs for HR is already a good business tool, but we decided to move forward. Then to each of the KPIs a description was added that explains how the value of the KPI is supposed to be measured by HR department. Finally, we placed all the KPIs in an MS Excel file so that you can easily add these KPIs to your business system. This product is a great investment for any HR department and will save hours of research. Related metrics and KPIs for: HR Hire, HR Training, Leadership, Motivation, HR accounting, HR Outsourcing, Awards, Retirement, Training Pack. 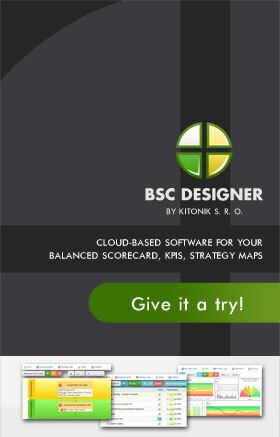 Customers who viewed this item also viewed: Tasks Outsourcing | HR accounting | Resource Management | Personal Metrics Pack. 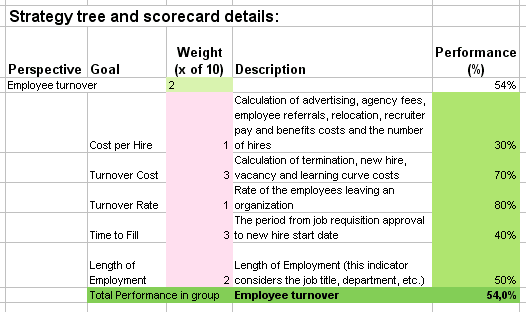 This is the actual scorecard with HR Metrics and performance indicators. The performance indicators include: "Cost per Hire", "Turnover Cost", "Turnover Rate", "Time to fill", "Length of employment". 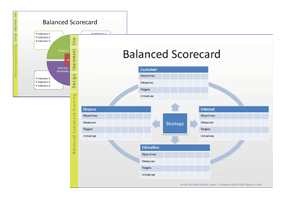 Download a trial version of HR Balanced Scorecard or purchase a full version online.